Becx Blogs: July My Geek Box + MYSTERY Box! I love subscription boxes, and this month I wanted to try something different to the usual beauty boxes. 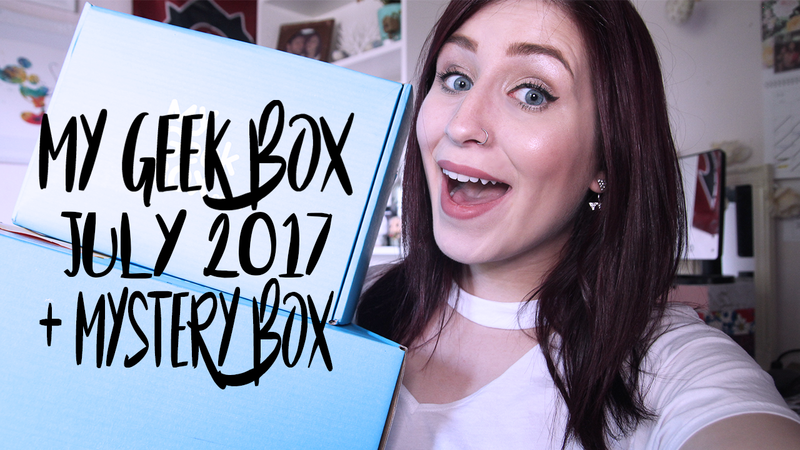 I looked online for the “best subscription boxes” and My Geek Box popped up a few times. I have to say, I am so pleased I found this website. I can’t wait to share what I got! Since I am a new subscriber, I not only got sent the July box, but I got a MYSTERY past box as an extra, for free! Who can say no to free stuff? I certainly can’t. One thing I noticed is the considerable size difference of this box, compared to past beauty boxes I’ve received. I hoped this meant it was worth the money. Guess what, it so was. 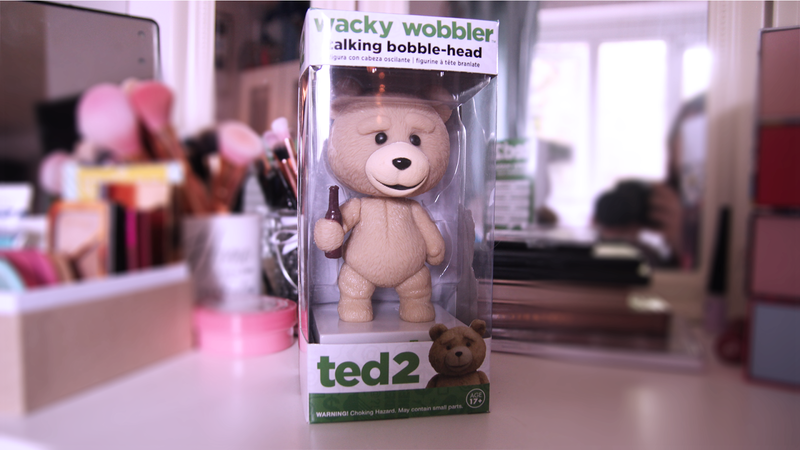 The first item I spotted was the rather large Wacky Wobbler Ted 2. I’ve seen the first Ted film, but didn’t actually get around to seeing Ted 2. I probably should because I did enjoy the first one. The Wacky Wobbler is supposed to talk, and say a few quotes. “GrrrMondays” and “well yeah, but that was back when she was rowwr, and before she was who-hoa” are a couple of things he says when you you manually bobble his head. I quite like it! It’s a fairly decent size too, and will stand proudly on my desk, so I can bobble his head when I see fit. I actually will probably never touch it.. but never mind. The only thing is there is no on or off button, you remove the tab and it just makes a noise every time it moves. Why. Why would you make it so annoying AND without a way to turn off? 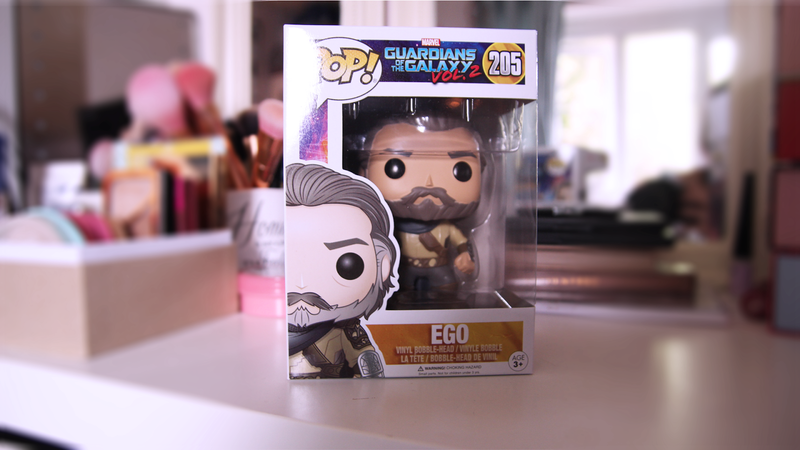 The 2nd item in the box was an Ego Pop Vinyl from Guardians of the Galaxy Vol. 2. GotG is probably one of my all-time favourite films, so I was really pleased to get this. You can’t really go wrong with Pop Vinyl’s to be honest. I already have a small collection of them. I just wish it was a different character rather than Ego. I would have preferred Star Lord, Rocket or even Baby Groot! 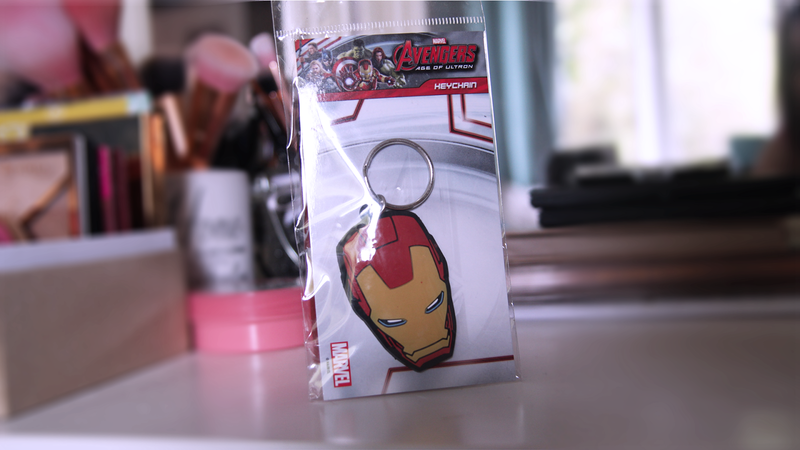 Next up was an Iron Man Keyring. It says Avengers: Age of Ultron on the packet but the card in the box said it was sent out because of Spiderman: Homecoming. I love Marvel, and Iron Man and loved Spiderman Homecoming at the cinema so, this was a really good item to send out. I have no space on my keys for this, but I’m sure my boyfriend will love this! I love this next item. 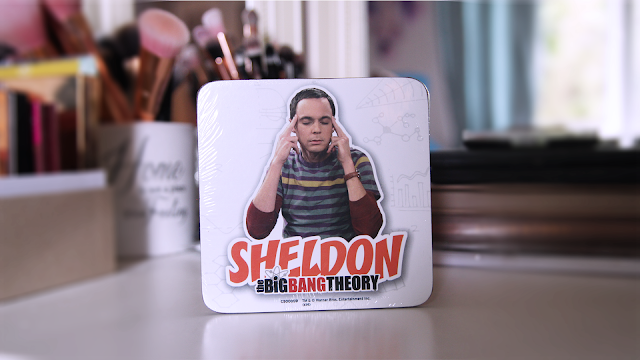 I know it’s only a Sheldon Coaster, from The Big Bang Theory but, it’s Sheldon. I love him. It will live out the rest of its days in front of my computer for my can of coke to sit on. Simple item to send out, but useful, and with one of my favourite characters on it. Apparently, you get sent a T-shirt in every box, which I think is brilliant. My first T-shirt I’m not overly impressed with, but I have seen some great ones on the website in past boxes. This is an Exclusive T-Shirt based off the festival season and is musically inspired, or so the car says. It looks OK, and I’ll probably wear it around the house or to walk the dogs. 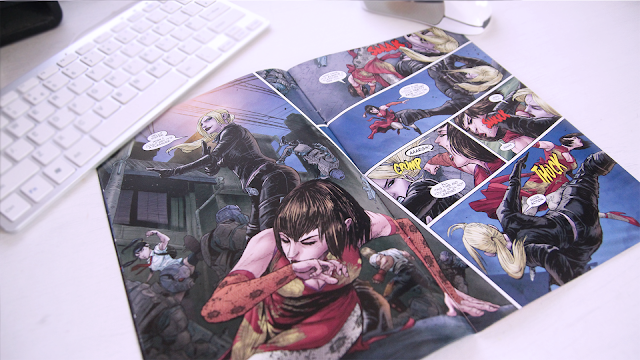 Last item is this pretty cool Tekken Comic. I used to play Tekken as a child but haven’t played it in probably over 10 years now. This was super nostalgic for me, I recognised the characters and felt connection with it. 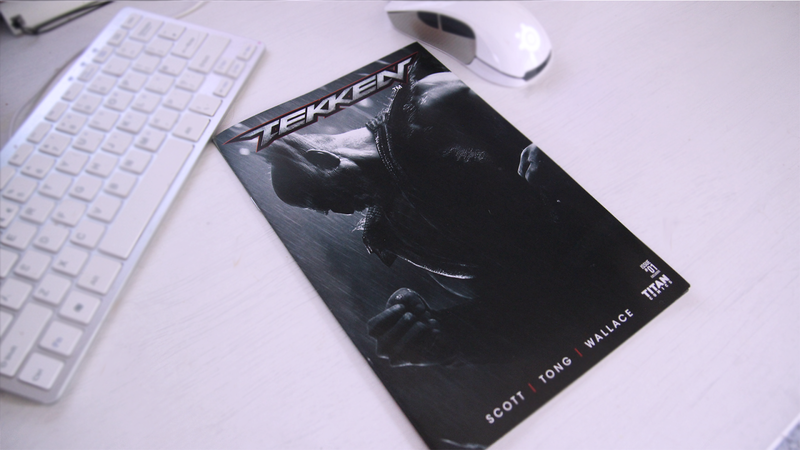 Although I wouldn’t say I’m a huge Tekken, it was still nice to get and I’ll certainly give it a read! 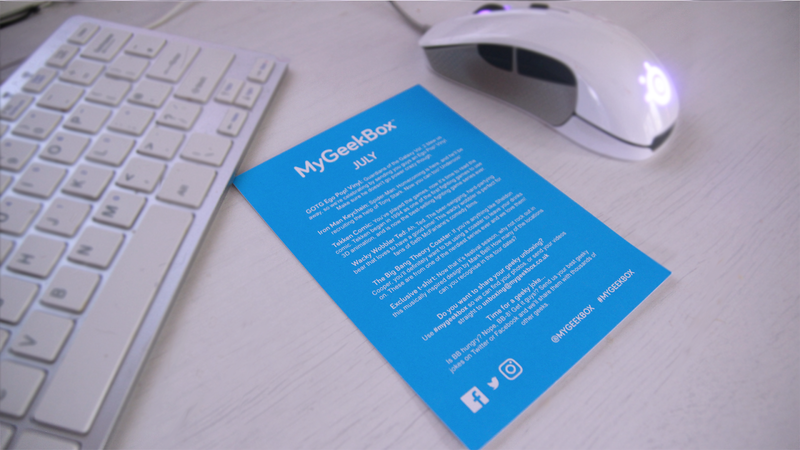 I thought I might as well upload a photo of the card, and the reason for the items in July’s My Geek Box, rather than typing it all out. You can also see their social media from this. Now as I was saying before, I got sent a 2nd box from My Geek Box for being a new subscriber! I think this is a brilliant thing to do, and I was excited to be getting double for my money. Especially when I feel like these boxes are already fairly good for the price. I might as well do this in the same article. My 2nd box arrived the day after my July Box, and it’s supposed to have random items from a past month that you may have missed. 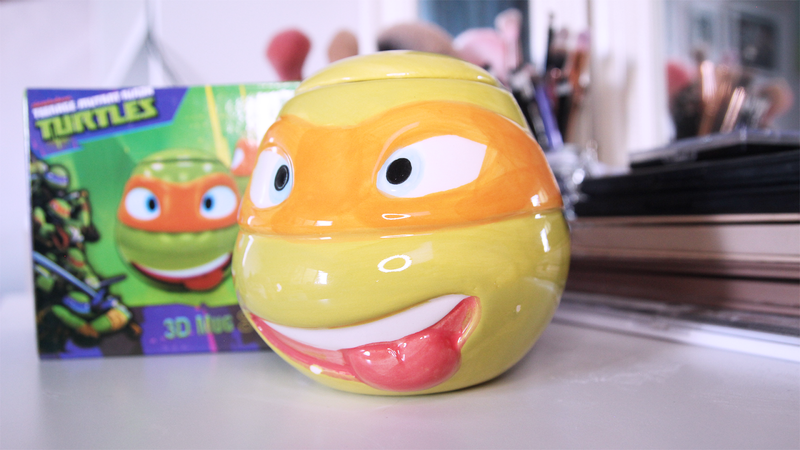 The first item was this super cool 3D mug in the shape of Michelangelo from Teenage Mutant Ninja Turtles. This was another very nostalgic thing for me; I used to love watching TMNT as a child. The mug is a very decent size, and even comes with a lid to cover the cup. This is something I would 100% use, so I'm very happy with this. 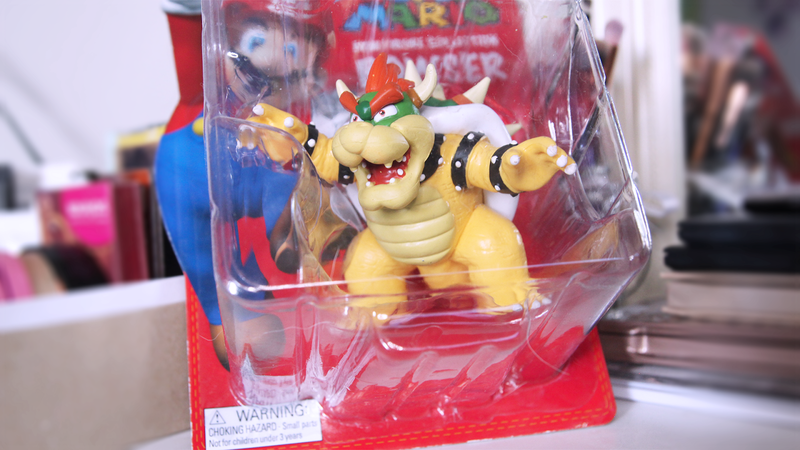 The 2nd "mystery" item was this cute small figurine of Super Mario's Bowser. I've always love Super Mario, so this figure will fit in nicely on my shelving unit. One of the first things my boyfriend said was that he wanted this... tough luck, he's mine! 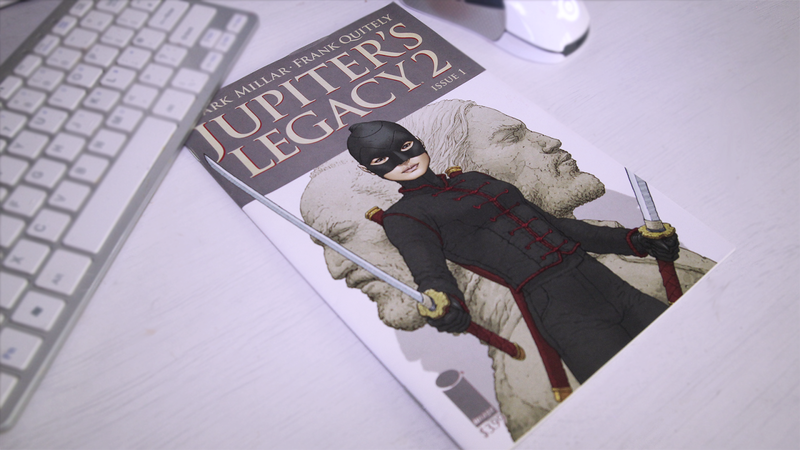 Not going to lie, I've never head the authors or the name of this Jupiter's Legacy 2 comic. But I'm more than happy to give it a read and see what it's like. 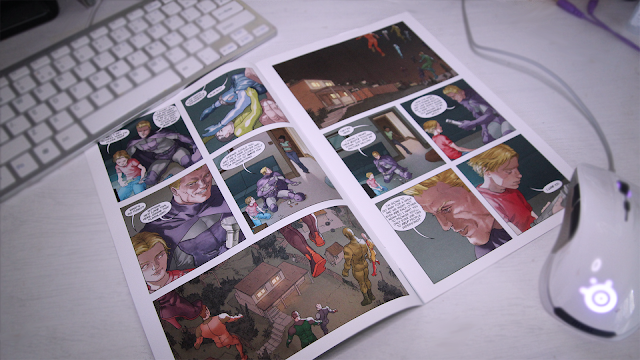 It seems to be about some kind of superhero based off the pictures. When I'm done I'll probably give this to Eric. I think this is the only item out the whole 2 boxes that I won't use at all. 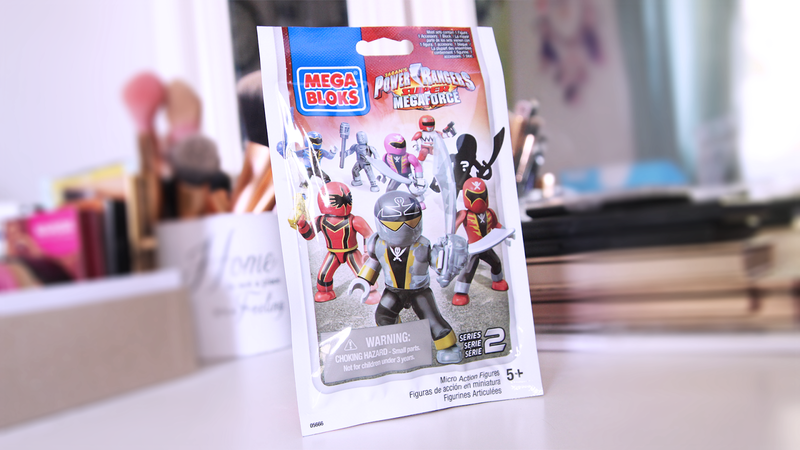 It's a Mega Blocks Power Rangers figure, and I'm just not that interested in Mega Blocks. I don't mind Power Rangers, I kind of enjoyed the new film that was out this year. But Mega Blocks? Nah. The last item out of the 2 boxes is another T-shirt. 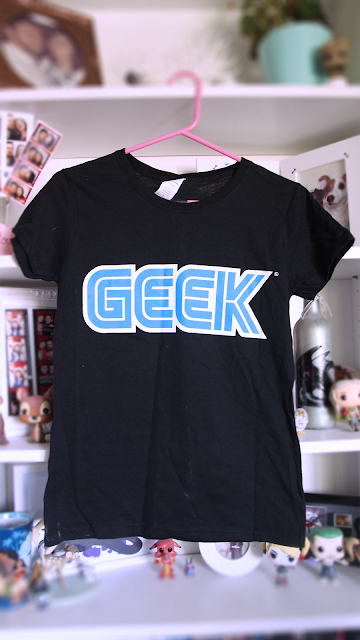 It's a Geek T-shirt in the font from Sega. I love this. It's so simple. I would probably wear it a fair bit, especially when just hanging out with friends. The material is quite thin but I can't complain with the amount of stuff I got for just £16. I can definitely say I will be keeping this subscription going. I am very impressed with everything I got in this box. 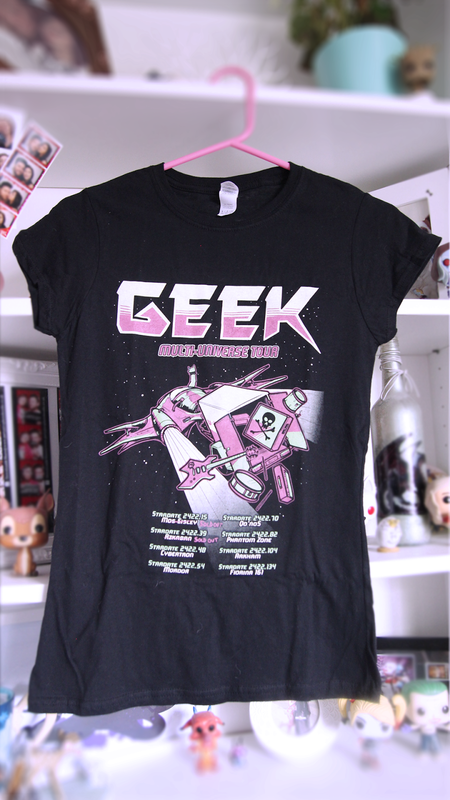 I would recommend getting this if you're like me and you're a bit of a geek. I can't wait for Augusts box now!